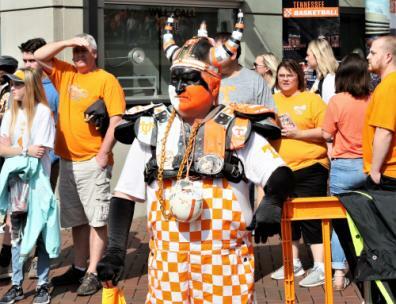 A fan in full regalia awaits entry into Neyland Stadium prior to the game. 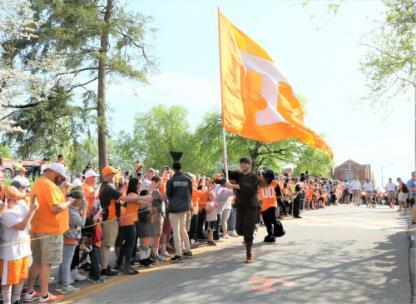 The Pioneer precedes the Vol Walk. 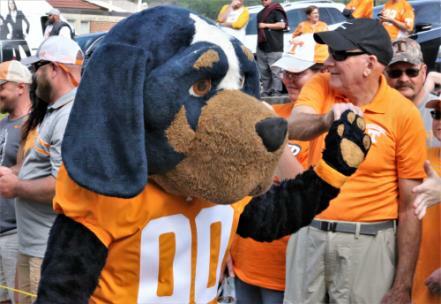 Smokey makes an up close appearance. 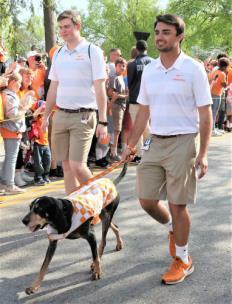 Smokey X with his handlers. 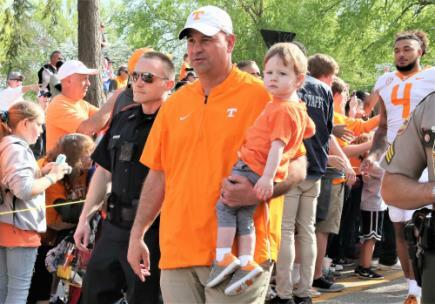 Tennessee head coach Jeremy Pruitt with one of his sons. 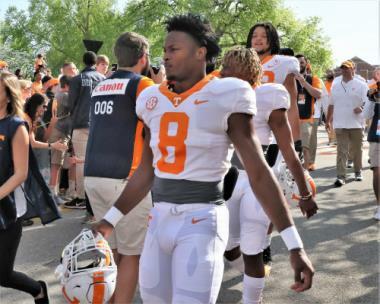 Freshman quarterback Brian Maurer (18) and jalmir Johnson (58) greet fans on the Vol Walk. 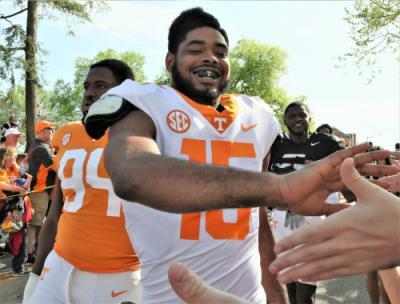 Jauan Jennings high fives a fan. 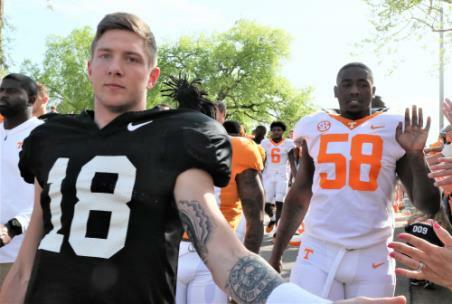 Running back Ty Chandler (8). 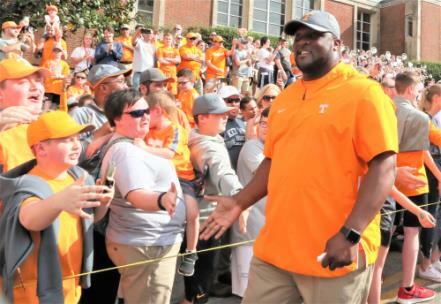 Assistant coach Tee Martin greets fans along the Vol Walk. 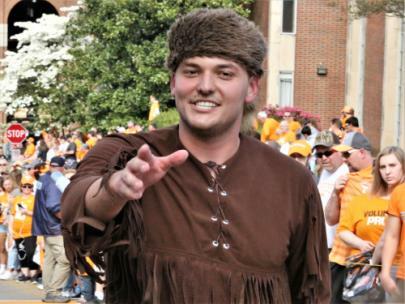 Quarterback J.T. 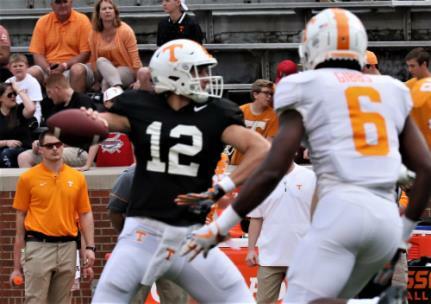 Shrout (121) looks to pass as linebacker JJ Peterson (6) applies pressure. 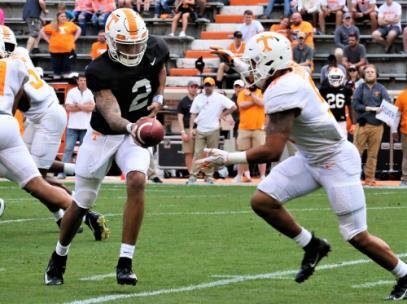 Jarrett Guarantano (2) hands off to Tim Jordan. 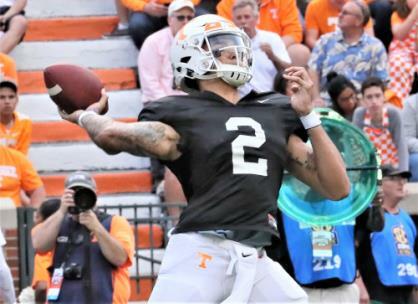 Quarterback jarrett Guarantano (2) pitches to running back Tim Jordan. 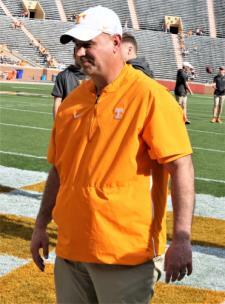 Bruce Thompson fields a kickoff. 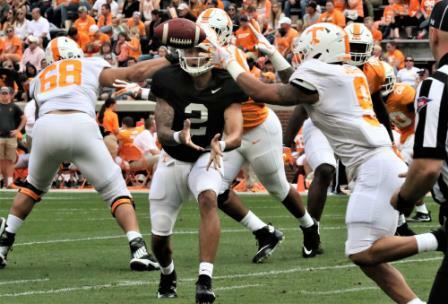 Jarrett Guarantano prepares to throw. 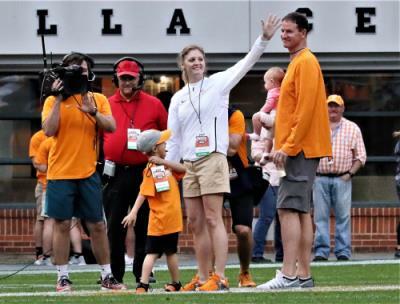 New Lady Vols' head coach Kellie Harper, along with her family, is introduced to the fans in attendance. 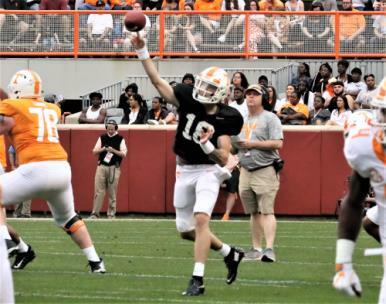 Incoming freshman quarterback Brian maurer throws. 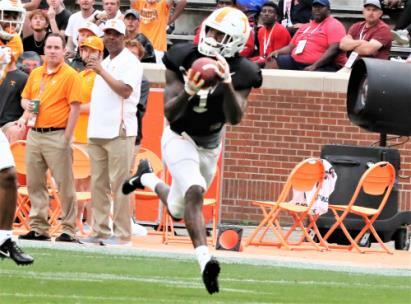 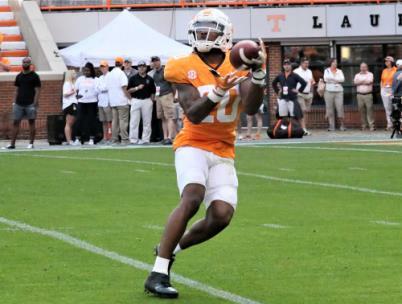 Marquez Calloway hauls in a 52-yard pass from Guarantano. 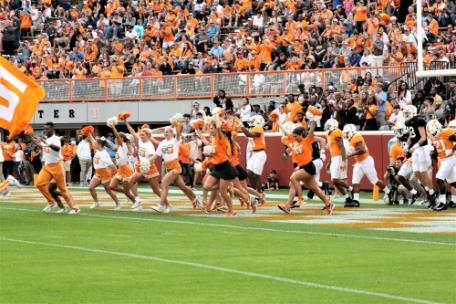 The Pioneer gets up close. 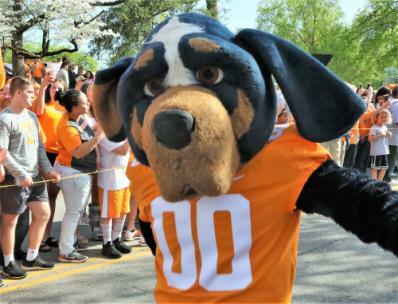 Smokey greets fans along the Vol Walk. 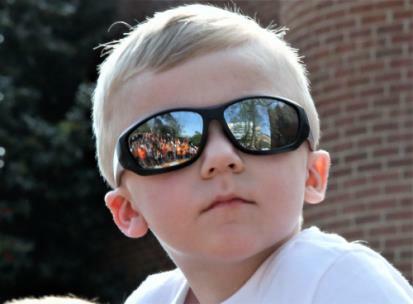 The Vol Walk crowd and Neyland Stadium are reflected in this young fan's sunglasses. 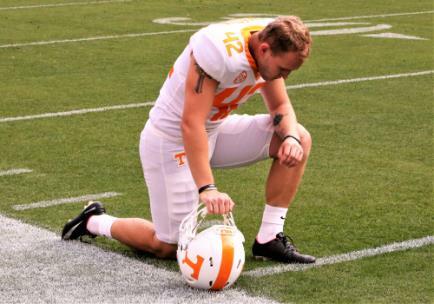 Place kicker Brent Cimaglia prays before kickoff.